“The Stranger” is considered an odd duck in Welles directorial hierarchy. The film was seen as a test to see if Welles could work within the system, meaning could he stay within budget. Many film scholars have dismissed it as contract job, unlike his first two films and his later work, which all had Welles personal stamp all over them. 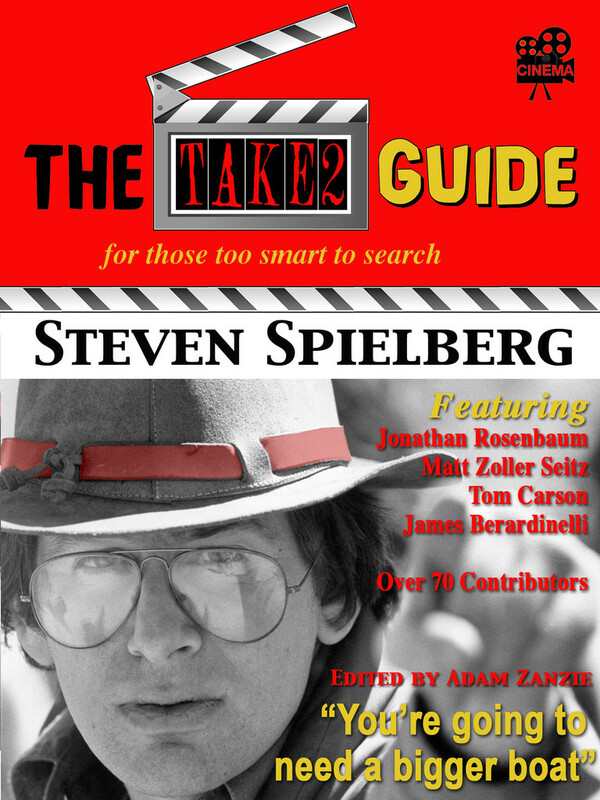 The film even slipped into the public domain resulting in a lot of cheap poor reproduced DVD’s which has not helped enhance its reputation. Only recently did MGM release a high quality version for home video. While the movie does not have the flare or the visual stunningness of “Citizen Kane” or “The Magnificent Ambersons”, “The Stranger” has enough Wellesian, touches to distinguish it as a Welles film and even more important it is an entertaining film to watch. Today, there is nothing original about the story we’ve seen it before, the man on the run who changes his identity living in a small town (Shadow of a Doubt). The former Nazi war criminal who fled, and is now living in another country (The Boys of Brazil, Apt Pupil), yet Welles style is evident. We see it in the long takes, the expressionistic lighting and unusual camera angles. While the story today is common, in 1946 it was not. “The Stranger” is also notable for its use, only a year after the end of World War 2, of actual concentration camp footage used to reveal the truth about Franz Kindler (Orson Welles) to his father in-law and wife. The plot involves a convicted war criminal, Konrad Meinike (Konstantin Shayne), who is released from prison in hope that he will lead officials to the more notorious Nazi, Franz Kindler. An investigator from the War Crimes Commission, Inspector Wilson (Edward G. Robinson) is assigned to follow Meinike. 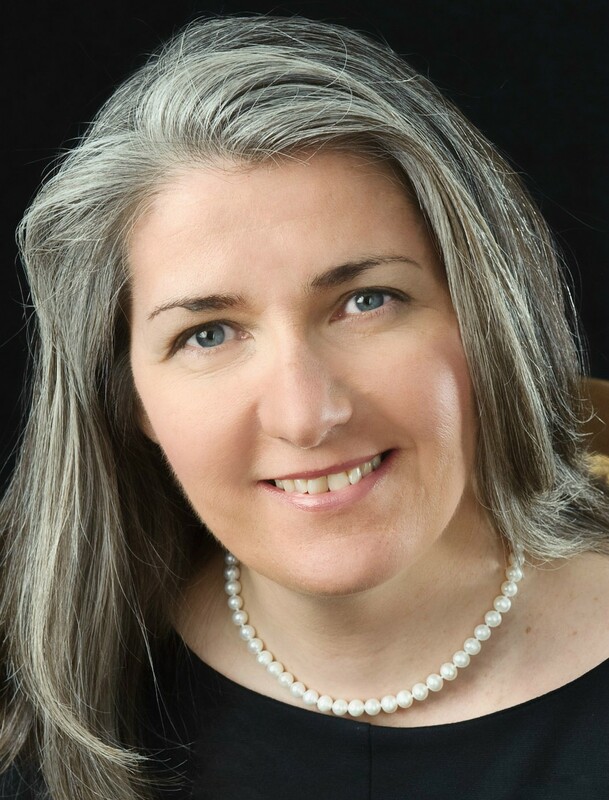 As planned, Meinike leads Wilson to the small New England town of Harper, Connecticut where we find Kindler leading a new life as Charles Rankin, a professor at a nearby college. Rankin is about to marry Mary Longstreet (Loretta Young), the daughter of the prominent citizen Judge Longstreet. From this point on, it becomes a cat and mouse game between Wilson and Kindler/Rankin. As Wilson gathers more and more evidence, he comes closer and closer to forcing Kindler to reveal to all his real identity. Orson Welles, whose acting was more in demand than he directing, is always on edge as his character becomes more and more trapped in a vice like grip until the final exciting climax. The always good Edward G. Robinson seems to be doing a variation of his Barton Keyes character from Billy Wilder’s “Double Indemnity.” Loretta Young is good as the naive wife who wants to believe her husband is innocent and not whom Wilson says he is. Also notable are a young Richard Long as Mary’s brother and Billy House who plays Mr. Potter, the checker playing General Store owner. 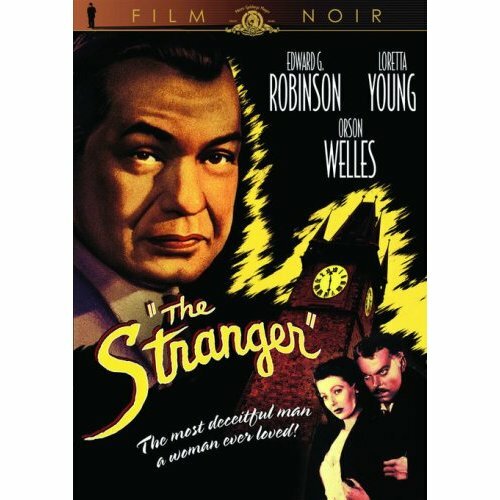 Ironically, “The Stranger” is one of Welles few films to do well at the box office and the film was also nominated for Best Original Screenplay. Due to its success, Welles was able to go on and make “The Lady from Shanghai” next. Admittedly, “The Stranger” is not in the class “Citizen Kane”, The Magnificent Ambersons” or “Touch of Evil”, it is a more standard thriller with some Wellesian touches thrown in however; it does not deserve to be more than just a footnote from Welles filmography and is certainly well worth seeing. This entry was posted in Edward G. Robinson, Film Noir, Film Reviews, Loretta Young and tagged 1946, Edward G. Robinson, Film Noir, Loretta Young, Orson Welles, Richard Long, The Stranger. This is actually one of my fave Welles films despite it being a paycheck gig. The scene that I always enjoy is the paper chase through the woods where Kindler meets Meinike. Welles does an excellent job ratcheting up the tension in this scene. I also love the much-celebrated dinner scene where Kindler delivers the monologue about German superiority which always made me wonder if Welles wrote it much as he did the famous cuckoo-clock bit in THE THIRD MAN. I would probably say Touch of Evil is my favorite Welles work but I truly enjoyed this film. True as yous say this was a paycheck, still it is a nice enjoyable piece of work.